Posted: Thursday, September 28, 2017. 9:35 am CST. 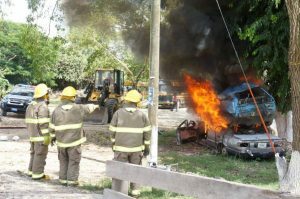 By BBN Staff: Yesterday, a simulation exercise was carried out involving a multi-disaster and emergency response scenario in San Ignacio town. 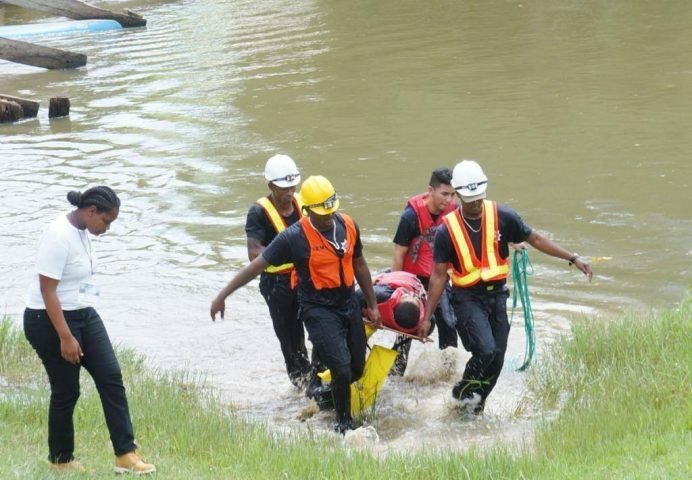 It included participation from Belize Electricity Company Limited (BECOL), the security forces and other departments and agencies involved in the various aspects of disaster and emergency management. DeFour said it was a multi-disaster scenario to look at all the different facets of a disaster/emergency risk management system to ensure that they have a sense of the scope of 21st century threats, where NEMO has to be ready to deal with any of the eventualities. “We may not be perhaps the best at this stage, but we will try our very best to ensure that something is in place, whether it’s earthquake and tsunami, whether it is floods or hurricanes, whether it’s a nuclear plant catching fire, whether it’s a volcano erupting, we must stand ready to at least put our foot out there and say the Government of Belize and the people could rest assured that there is an institution that has some capacity to lead them to some degree of well-being and safety,” he added.